The discipline of social psychology has lost one of its most esteemed scholars, and the cause of social justice has lost one of its most devoted advocates. M. Brewster Smith passed away on August 4, 2012 in Santa Cruz, at the age of 93. Brewster was perhaps most admired by SPSSI members for his contributions to the landmark U.S. Supreme Court case, Brown v. Board of Education (1954), that found school desegregation unconstitutional. His research and testimony played an important role in Brown and in the larger fight for racial justice in the United States. Although this work was a pinnacle in Brewster’s long and distinguished career, he made many other truly notable contributions to our profession. Described as the “gentle conscience” of psychology, Brewster took many courageous and iconoclastic intellectual and political stands, matching a formidable, razor sharp mind with a tender heart and gentlemanly demeanor. Brewster began his undergraduate education, at the age of 16, at Reed College, and completed it at Stanford, where he was awarded his B.A. and M.A. degrees in psychology. His graduate work continued at Harvard, where he came under the influence of both Gordon Allport and Henry Murray. However, it was soon interrupted by World War II. Brewster’s wartime years played a pivotal role in his career. He rose from private to the rank of major and used his psychology training to contribute to the classic study of soldiers in combat, The American Soldier. More importantly, as he would often later say, his time in the military showed him the horrors of armed conflict and the physical and psychological toll that war took on all involved. Not surprisingly, Brewster was later very influential in helping to shape what came to be called “peace psychology,” and he also played a central role in selecting the nation’s very first cohort of Peace Corps volunteers, with whom he took several trips to Ghana. Brewster had a near encyclopedic grasp of the discipline of psychology and its history, and he used his piercing intellect and strong ethical compass to raise critical and sometimes unpopular questions or issues that frequently changed the course of the discipline. For example, at a time when much of academic psychology was narrowly focused on only quantitatively measurable empirical truths, Brewster championed the cause of humanistic psychology, and advanced the argument that the dignity and fulfillment of the whole person needed to be taken more centrally into account. Sometime later, when many in the discipline were striving to achieve a natural science model of complete dispassion and absolute objectivity, Brewster wrote eloquently about the importance of “values” in psychology and extolled the virtues of political engagement. Over his long and illustrious career, Brewster received many prestigious awards (including the Kurt Lewin Award and the APA Award for Distinguished Contributions to Psychology in the Public Interest) and held numerous key positions (including serving as president of SPSSI in 1958 and of the APA in 1978). He also taught at several distinguished universities, including Vassar, Berkeley, and the University of Chicago. 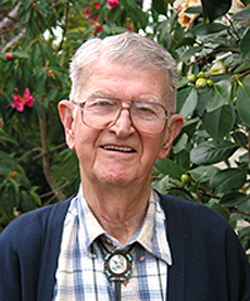 Brewster spent the last 40 years of his career at the University of California, Santa Cruz, whose faculty he joined in 1970, only a few years after the campus was opened. His Santa Cruz colleagues remember Brewster as an extraordinarily kind, dignified, and dedicated colleague who modeled the very best way to “disagree without being disagreeable.” Despite his many accomplishments and stature in the field, Brewster remained unusually humble and remarkably generous with his time and sage advice, especially to the several cohorts of junior faculty members who had the good fortune to start out in academia with him as a senior colleague (myself included). He functioned in many ways as an intellectual and academic visionary at Santa Cruz, spearheading the creation of a new developmental psychology graduate program and laying the intellectual and values-oriented groundwork for the distinctive social justice emphasis that now characterizes our social psychology graduate program. Throughout his career, Brewster worked tirelessly on behalf of what he called the “third force” in American psychology—those who advocate for “the public interest”—which he saw as positioned between (and certainly sometimes including) the “clinical-practitioners” and the “scientist-academics.” He reminded us that “any attempt to advance the public interest is inherently political,” observed wisely that “advance in justice comes in small packages,” and implored psychologists of all persuasions to engage in “advocacy for the rights of the disadvantaged” and to “stand on the side of justice and human welfare.” Although he will be sorely missed, Brewster Smith was an extraordinary person and a remarkable psychologist who left us all with a wonderful legacy to admire and emulate, and a worthy path to follow. He is survived by a large and loving family, most notably his wife of 64 years, Deborah, who was in every respect his devoted life partner.